SOS Feng ShuiThe 3 kinds of luckWhat is Feng ShuiStart Now! it's FREEChoose YOUR Perfect CrowdLuck in 2017 - Cures and RemediesMonthly Flying Star ChartsMy published articlesMake a WISH NOW! 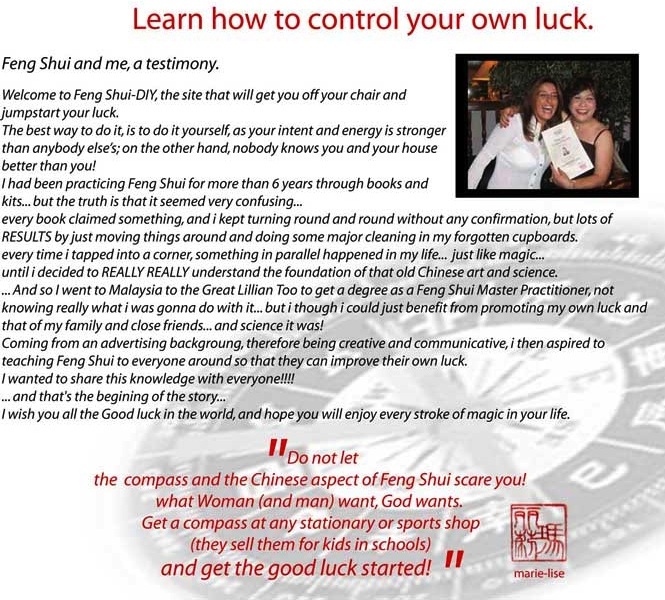 I am very proud to be Lillian Too's first student from Lebanon, and will always preach for DIY Feng Shui because it's the best way to get fast results. My objective is not to make rich people richer, but to help the poor and unlucky to enhance their luck. HOW CAN I HELP YOU??? ?